Volunteers can participate in ongoing science projects while having fun and learning at the same time. Howard County supports some of the programs directly and others are led by other agencies, non-profits and universities. This program collects specific information on any damage, pollution, and potential restoration opportunities observed within the Patapsco watershed’s streams and stream banks. Volunteers can choose their level of participation as watchers, cleaners or leaders. The data helps this non-profit group to plan and implement their stream cleanups. Even more advanced volunteers can sign up to do more intensive water quality monitoring. Stream Waders is run by the Maryland Department of Natural Resources. Volunteers are trained in stream sampling and macroinvertebrate identification. They apply their knowledge at assigned stream sites and share the results with the DNR. World Water Monitoring Challenge is an international education and outreach program that builds public awareness and involvement in protecting water resources around the world. Volunteers conduct basic monitoring of their local water bodies and then add the results to the international website. Test kits are inexpensive and can be purchased through the website. Each spring, volunteers learn the calls of local frogs and toads, listen for them outside, and then report which frogs and toads they have heard. Frogs and toads are considered indicators of environmental health and many previously abundant frog and toad populations have experienced dramatic population declines. This project helps scientists to understand the scope, geographic scale, and cause of these declines. To learn more about participating in Howard County, contact Sue Muller, smuller@howardcountymd.gov. Butterflies, dragonflies and damselflies are also important indicators of environmental health. Each summer, Howard County volunteers gather at several locations to identify and count these fascinating insects. Contact Sue Muller, smuller@howardcountymd.gov for more information or visit the website for recent years’ results. (2010 – 2014) was a 5-year project documenting the distribution of reptile and amphibian (herp) species across the state every 10-square miles. Howard County continues the documentation of herps across the County in cooperation with the Howard County Bird Club. Check out the website for current distribution maps of all herp species in the County. You can assist with this ongoing survey by submitting herp photos from Howard County to Sue Muller in the Recreation and Parks Natural Resources office at smuller@howardcountymd.gov. 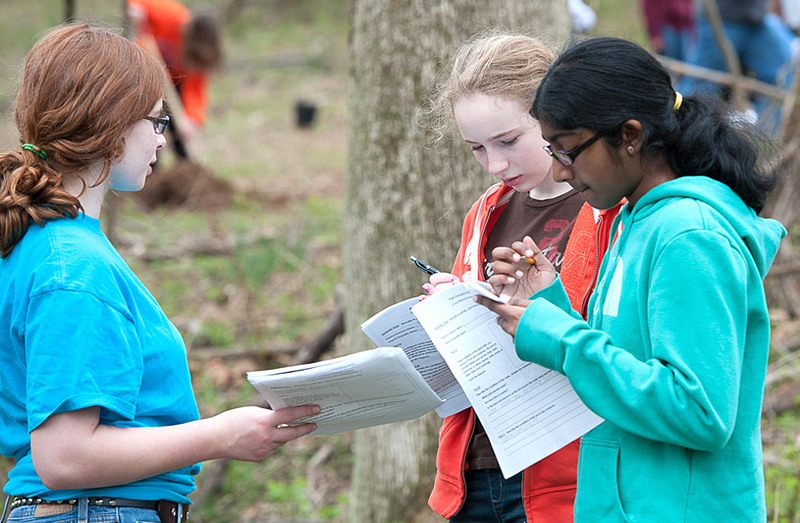 The Maryland Biodiversity Project focuses on cataloging all the living things of Maryland. Their goal is to promote education and conservation by helping to build a vibrant nature study community. Our community has cataloged over 17,000 species. Learn how to contribute your photos and explore the data at their website. Trout in the Classroom is an environmental education program in which students in grades k-12 raise and release trout. Students learn the life cycle of fish, monitor tank water quality, engage in stream habitat study, learn to appreciate water resources, begin to foster a conservation ethic, and study ecosystems. NestWatch is a nationwide program where volunteers monitor bird activity including: when nesting occurs, number of eggs laid, how many eggs hatch, and how many hatchlings survive. Scientists at Cornell University use the data to study bird populations and how they may be changing over time as a result of climate change, habitat degradation and loss, expansion of urban areas, and the introduction of non-native plants and animals. Bluebirds are one species of interest and there are several bluebird boxes monitored in Howard County. Please contact Sue Muller, smuller@howardcountymd.gov or visit the website for more information. This is an annual four-day event that engages bird watchers of all ages in counting birds to create a real-time snapshot of where the birds are across the continent. Anyone can participate, from beginning bird watchers to experts. It can be as quick – 15 minutes – or as long as you like. It’s free, fun, and easy – and it helps the birds. FeederWatchers count the kinds and numbers of birds that visit their feeders in the winter. The data are used to document and understand the distribution and abundance of birds that visit feeders in North America. Over Christmas break, families and students, birders and scientists, armed with binoculars, bird guides and checklists go out on an annual mission to count birds. For over one hundred years, the desire to make a difference while experiencing the beauty of nature has driven dedicated people to leave the comfort of a warm house during the holiday season. There are many other Citizen Science projects available. Here is a list of some others that we’ve come across. The Maryland Department of Natural Resources has a whole list of projects and resources appropriate for the classroom. Check out http://dnr.maryland.gov/education/ for details.